Picture this: You're unpacking your groceries in the kitchen and getting ready to make a quick meal after a long day when you discover you forgot to restock the most basic but essential ingredients. Do you run back to the supermarket or settle for takeout instead? Both options are inconvenient, which is why prevention is the ideal approach. In an article from MindBodyGreen, chef and author Peter Miller shares the ingredients that you should always keep around for easy weeknight meals. 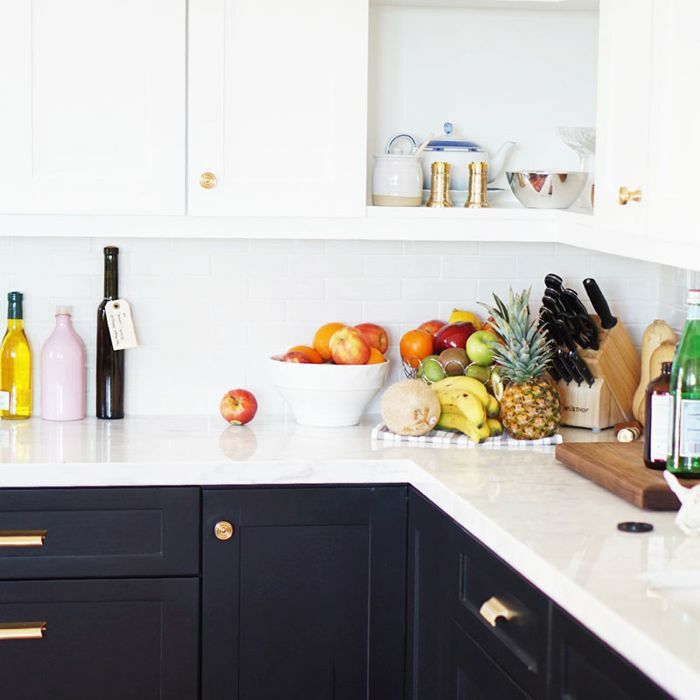 Scroll through to see his top six kitchen recommendations and make sure to add them to your grocery list before you run out. Olive Oil and Vinegar: Miller recommends Partanna Sicilian Extra Virgin since its consistency makes it extremely versatile. You can use it to cook, drizzle on a dish, or toss in a salad. And since vinegar lasts a really long time, you won't have to restock often. White wine vinegar is a great option to spruce up your salads or bean dishes. Lemon or Lime: These two fruits can be easy to forget and easy to miss since they add such great flavor to home-cooked meals. As Miller notes, "A few drops will revive chicken and fish, meat and vegetables." Pasta: Next time you're short on time but craving a home-cooked meal, you'll be happy to find some good-quality pasta in your pantry. As Miller points out, "Good dry pasta can stand nearly alone." Just add olive oil, a pinch of salt, and perhaps some chili flakes. Basmati Rice: Much like dried pasta, basmati rice is super easy to make and it doesn't go bad. Miller's favorite kind to cook with is Koda Farms. Salt, Pepper, and Chili: Nothing is more disappointing than a bland, flavorless meal, except maybe not having anything to spice it up with. Add some dimension to your dish will be super easy as long as you have salt, pepper, and some chili flakes on deck. Parmesan Cheese: Parmesan is yet another overlooked addition that packs a lot of punch. It can truly transform a meal. Sprinkle some over your veggies, pasta, or poultry for a hint of cheese. Just make sure to store it properly so it lasts longer and doesn't dry it. Which grocery list staples do you forget to restock? Share your supermarket shopping woes in the comment section below, as well as any other essential ingredients we may have missed. Do You Have Any of the Same Fridge Staples as These Celeb Chefs? We're All About This 8-Ingredient "Gut-Healthy Power Bowl"